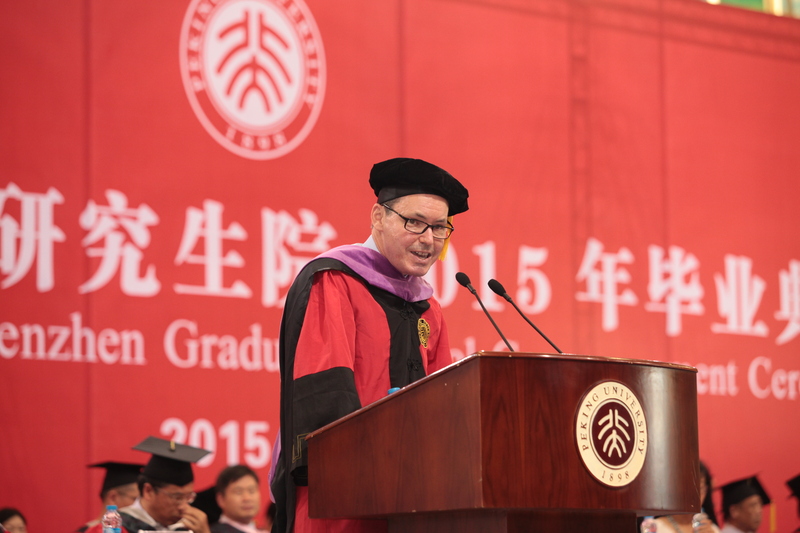 Congratulations to the 2015 graduates of the Peking University Shenzhen Graduate School. This is an opportune time to be looking to Peking University, and to the city of Shenzhen, as key building blocks for your career. 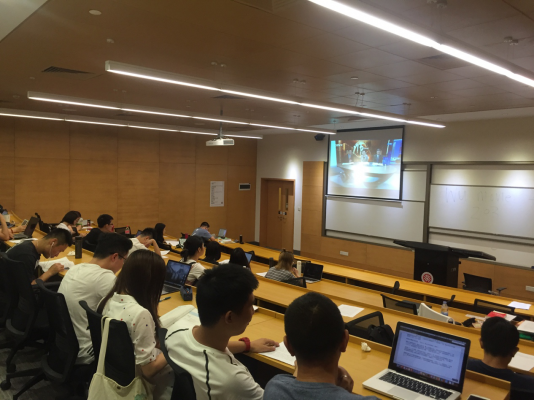 Peking University’s world-class level of international engagement is reflected not only in Beijing, but also in Shenzhen. Full time international students from dozens of countries study on ourcampus. More than 50 full time international faculty members teach on our campus. Our campus offers nearly 100 international exchange programs. The international orientation of Shenzhen, which now is widely known as “China’s Silicon Valley,” is a natural fit for Peking University.The U.S. business magazine Inc. recently included Shenzhen as one of its “5 Global Cities of the Future,” observing that Shenzhen “can hold its own with any metro in the world, especially when it comes to entrepreneurship.” According to the Qianhai Authority, by the end of this year the Qianhai economic cooperation zone “is expected to attract more than 2,000 Hong Kong companies[. ]” Several weeks ago, Shanghai-based Focus Media—one of China’s largest advertising companies—chose to list shares of its company on the Shenzhen Stock Exchange, rather than in Hong Kong, New York, or London. With respect to economic significance, Shenzhen is taking on a more central role, whether considered locally in the Pearl River Delta, regionally in Asia, or on a global scale. With Peking University and the city of Shenzhen as your foundation, you are well-positioned to participate in a global economy in which China not only will meet, but indeed will begin to set, the international standards for the 21st century. I would offer one very recent example of such leadership: the China-Australia free trade agreement, which was signed a few weeks ago in Canberra. My research focuses on investment, and I have reviewed the investment chapter of the China-Australia free trade agreement. That investment chapter includes a number of innovations that rarely, if ever, have been seen in prior treaty practice, by any country. For example, the China-Australia treaty includes a detailed code of conduct applicable to arbitrators in dispute settlement proceedings, which is aimed at ensuring the independence and impartiality of arbitrators who will be deciding disputes under the treaty. The treaty also establishes a Committee on Investment, which is responsible for, among other tasks, conducting a review of the China-Australia investment legal framework. That review will then serve as the foundation for future, more comprehensive, investment negotiations between China and Australia. Whether these innovations reflect sound and effective investment policy is a question that already is being actively debated by practitioners and scholars. But that debate should not obscure a more fundamental point: the China-Australia free trade agreement includes many groundbreaking rules aimed at addressing key 21st century challenges in the area of international economic law. Regardless of whether other countries choose to adopt those innovative rules, China’s recent practice must be studied and considered, because the new rules that China is developing are setting new boundaries for international treaty practice. The China-Australia free trade agreement serves as an early illustration of China’s expanding leadership role in a 21st century global economy. That leadership role will be further developed through the work of the Asian Infrastructure Investment Bank, the BRICS-led New Development Bank, and the implementation of China’s “One Belt, One Road” initiative. An extraordinarily entrepreneurial and innovative environment in Shenzhen will provide additional support for China’s increasingly central role in the global economy. As graduates of Peking University who have studied and lived in the city of Shenzhen, you are exceptionally well-positioned to launch successful careers in a global economy that, whileformidably competitive and complex, offers unprecedented opportunities. 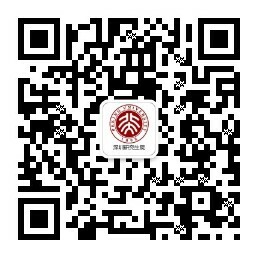 Whatever the nature of your future contributions to China and to the world—science, law, business, social service, government—your experiences at PKU Shenzhen, at a university and in a city that are setting the standards for 21st century international engagement, have prepared you for positions of leadership. 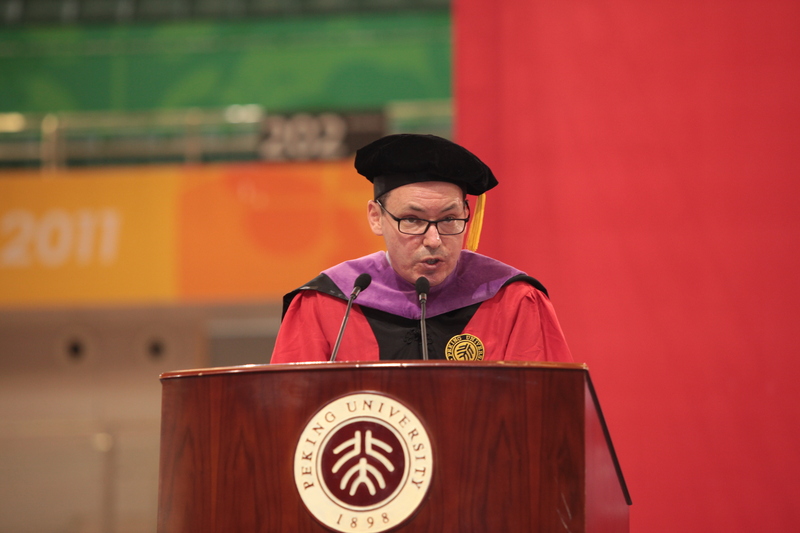 Congratulations, again, to the 2015 graduates of the Peking University Shenzhen Graduate School.